It is finally here! Spring, well something that sometimes resembles Spring ever few days. I don’t know about your neck of the woods, but here in North Carolina it is 70 degrees one day and 30 degrees the next. It is crazy… and it is driving me crazy! I am in the process of building my own little slice of heaven that I have named Gigantic the Greenhouse, well, because it is is a huge 10×12 greenhouse and to me, that is gigantic. 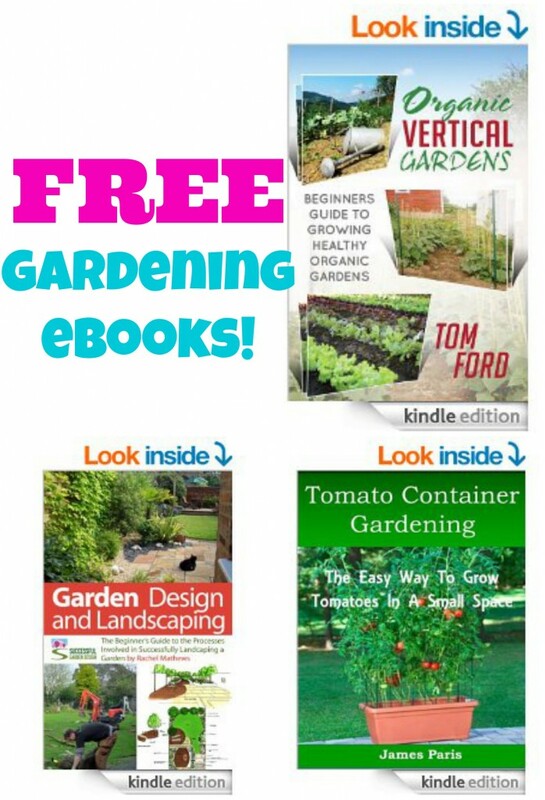 To kick off the planting season right, I have compiled a list of great FREE gardening ebooks that are available right now on Amazon. These are free at the time of posting, and the prices may change at anytime, so grab them while you can. Oh! And if you didn’t know, you can totally download these great books on to your computer or smartphone, a Kindle is not required. Previous Post: « Very Berry Greek Yogurt Cheesecake!